A wonderful getaway among evergreen trees and snowy mountains is found at D'Chalet in Manali, India. Perfectly located, guests enjoy everything from snow skiing to nature walks to unique shopping opportunities, all close by. With these India timeshares for sale, you'll come back to the luxury found within your unit after everything you do here. 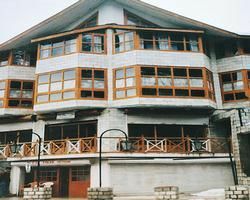 Rooms decorated in modern style combined with friendly staff, a Travel Desk to help plan exciting tours, and a sumptuous restaurant serving Continental, Indian and Chinese food are just the beginning of the exceptional amenities found at D'Chalet in Manali, India. Suite-style timeshare rooms feature trendy tile or wooden flooring, refrigerators in most rooms, coffee maker, sofas, tables, desks, television sets, balconies, free Wi-Fi, laundry service and room service. Every need is anticipated and met by staff that is attuned to guests’ needs. On the hotel grounds you'll find a game room with fireplace, pool table, a tree house for children, complimentary newspaper and on-site shopping opportunities. You'll also enjoy games of table tennis, pool and chess. One look out from your balcony at the snow-capped mountains and you'll know that buying your India timeshare for sale was a smart move. Famous temples you can visit include Hadimba Temple, Manu Maharishi Temple, Vaishno Temple and Vashisht Temple. Each one holds a special type of ambiance. Outdoor enthusiasts enjoy visiting the Solang Valley, the natural spring called Nehru Kund, Gulaba and Rohtang Pass. Spectacular waterfalls are found at Rahala Falls which is popular for picnicking, Jogini Falls and Jana Water Falls. For fantastic views of glaciers, Kothi is an excellent choice. Lovers of arts and architecture appreciate visiting Naggar Castle, the Tibetan Monastery and the Nicholas Roerich Art Gallery. 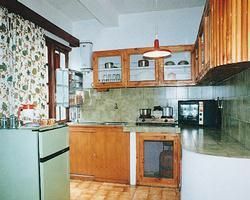 Staying at D'Chalet also provides opportunities for whitewater rafting on scenic rivers, paragliding, skiing, snowboarding, ATV riding, river crossing, mountain biking and rock climbing. Those who are experienced in scaling rocks love rappelling. Quieter pursuits include horseback riding, fishing and hot air ballooning. Everyone is thoroughly entertained by the wealth of activities in Manali. Days: Wednesday / Time: 3:00 P.M.